Over the past decade court cases, lawsuits, and freedom of information requests have played a significant role in revealing and shaping the legal, ethical, and political contours of the U.S. targeted killing program. A number of ongoing cases could have implications for the future of these operations. We have launched a page to track all of these cases as they unfold. Meanwhile, the Chula Vista Police Department in California has been granted the first U.S. Certificate of Authorization for beyond visual line-of-sight operations for a public safety agency. (Police One) For more on public safety drones, click here. At The New York Times, Ellen Rosen examines a few of the hurdles that drone delivery firms will need to overcome. At Forbes, Colin Snow profiles three of the largest drone companies and explains how each is contributing to the U.S. drone industry. At Nikkei, Michelle Chan profiles XAG, a Chinese drone startup that is seeking to use drones and artificial intelligence to transform farming. At Marine Times, Shawn Snow looks at a few of the tactical drones that the Marine Corps is looking to buy in Fiscal Year 2020. Also at the Marine Times, Shawn Snow offers an update on the Marine Corps project to develop a large drone known as MUX. At Just Security, Jürgen Bering breaks down the recent court decision in Münster and what it means for U.S. drone operations and international law. In an interview at Inavate, Ehang Egret vice president Li Zhiyuan discusses some of his company’s recent accomplishments with drone light shows, and offers his views on the future of drone-based entertainment. At the Jackson Hole News & Guide, Mike Koshmrl writes that a California-based drone firm is facing criticism for reportedly flying a drone in Yellowstone National Park. 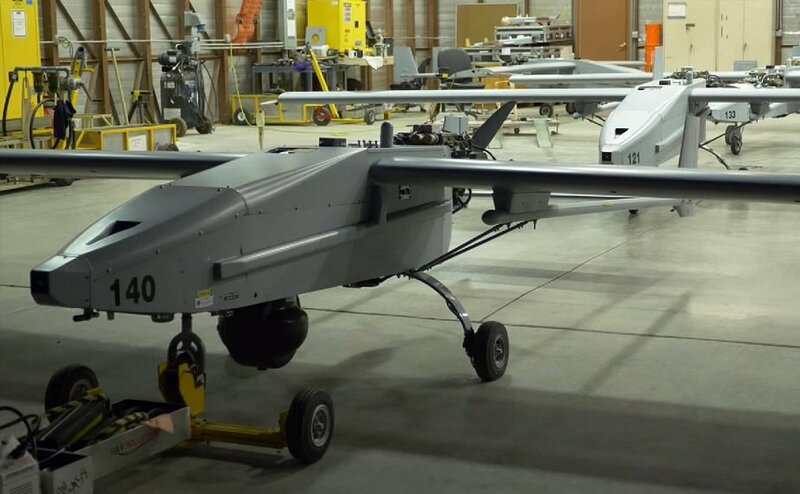 In a post on its website, the Defense Advanced Research Projects Agency explains how the CODE project is enabling drones to autonomously conduct collaborative exercises. In an interview with Aviation Week, a senior U.S. Air Force official announced that the service’s next refueler aircraft is likely to be unmanned.